In the first week-end of August the FISTF Major of Mattersburg was played in Austria with 54 players from six different countries taking part. There was a big surprise in the Open category as Luca Colangelo from italy won the title. He beat Daniele Pochesci in the semi (1-0) and Alexander Haas in the final (3-0). Marios Strommer won the U19 section but lost the U15 final to Italy’s Riccardo Lazzari. The veterans tournament was very open but in the end, Lucio Canicchio from Italy beat Günther Bamberzky in the final. The team event saw 10 teams competing. 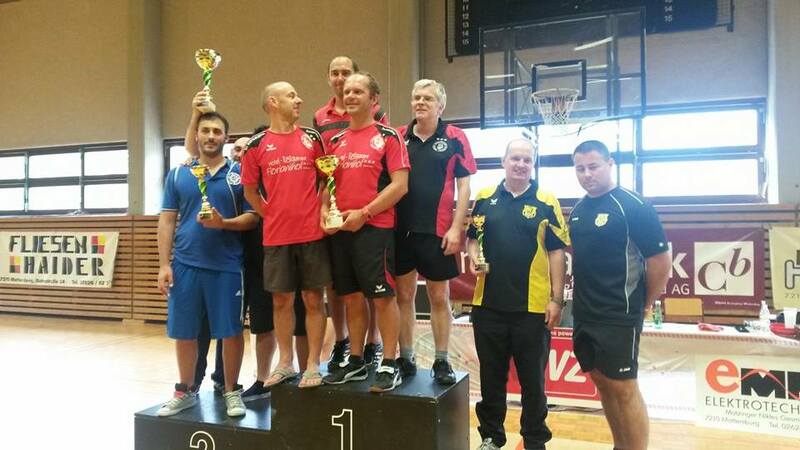 TFC Mattersbrug won the final against the Italians of Pisa while Fiamme Azzurre and Wiener Neustadt lost in the semis. This entry was posted in FISTF News and tagged Austria. Bookmark the permalink.